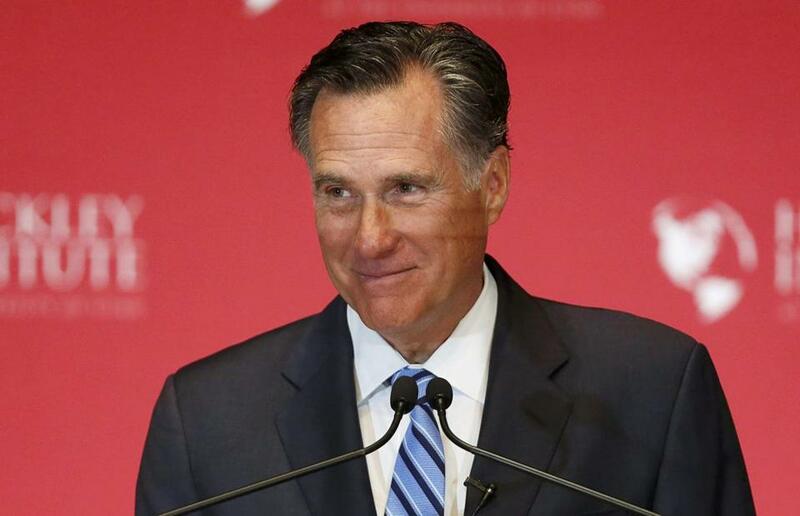 Mitt Romney criticized Donald Trump in a speech at the University of Utah in Salt Lake City on March 3. I’m so sorry, Mitt Romney. I’ve been pretty tough on you over the years, and now I feel just awful about it. I criticized you for throwing Massachusetts under the bus in the service of your presidential ambitions. I gave you a hard time for grandstanding on immigration and flip-flopping on other issues. I joined in the ridicule over your decision to strap your dog Seamus to the roof of the family car on a road trip. I have called you overly stage-managed, even boring. OK, that was pretty bad. Or so I thought at the time. 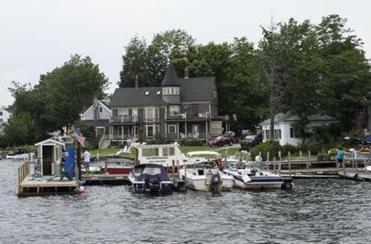 As Republicans gathered in Cleveland, the 2012 GOP nominee was more than 600 miles away in New Hampshire’s Lakes Region. Now I long for those days. Because now I see how bad bad can be. Your party has nominated an ignorant narcissist for president. His vile rhetoric has brought racists, anti-Semites, and misogynists out into the open. Our political discourse has not been this base in decades. It’s difficult to fathom, but the folks who nominated you just four short years ago are now willing to have this orange study in amorality yell “You’re fired!” at nuclear missiles. I know I’m not telling you anything you don’t know, governor. Always and forever will I love you for giving that speech in March excoriating Trump, calling him a con man and a fake, noting that his is “the very brand of anger that has led other nations into the abyss.” After making the mistake of accepting his endorsement back in 2012, you’re now one of the few Republicans willing to call him out. And you’ve stood your ground, even as other former critics have caved. The ugliness of which you warned has been on full display in Cleveland. We’ve had a cavalcade of D-list celebrities and also-rans offering nothing whatsoever in the way of proposals: It’s all Hillary hatred, all the time. Chachi tweeted out a disgusting, unprintable slur. Rudy Giuliani, rejected lap-dog Chris Christie, and a host of others whipped the flagging crowd into frenzies over the other party’s nominee, pronouncing her GUILTY! of all manner of crimes and calling, repeatedly, for her to be locked up. Some rep from New Hampshire said she should be shot for treason. Ben Carson, loopy as ever, spoke of Lucifer’s role in her life, or something. Few had anything positive to say about Trump, parroting instead the nominee’s own vacant boasts. Not even his third wife (Trust her, he’s loyal!) could humanize him — not even with Michelle Obama’s words. Lord, how I long for stage-managed and boring now. Your convention was so sweet and grown-up by comparison (Dirty Harry and the empty chair notwithstanding). Your wife Ann’s speech was utterly adorable, as is she. She talked about meeting you at a dance when you were kids, and you were “tall and laughed a lot, [and] nervous;” about being the parents of five little boys, all “screaming at once” on long winter afternoons; about her health struggles and your patience and love. Unlike what we’re seeing this week, your speech was a model of civility and hope. “We are a good and generous people who are united by so much more than what divides us,” you said. So quaint! Yes, you criticized the president, but you did it in a way that kept dignity — yours and his — intact. You took him down for not knowing enough about business — not for being a secret Muslim or an ISIS sympathizer or a criminal. And you actually laid out specific policy proposals. Bless your earnest heart! I wanted to apologize in person, but your people say you’re not talking to the press right now. You’re up there at Lake Winnipesaukee with your gorgeous, wholesome, extended family, and you won’t be interrupted. Our Michael Levenson dropped by, and out you came, in your shorts and your bare feet, to politely shoo him away. The contrast between that bucolic scene and the ugliness in Cleveland could not be more stark. Or, for me, more painful. Forgive me!